Researchers at the Department of Clinical Medicine at the University of Bergen (UiB) have discovered that medical treatment against diabetes reduces the risk of getting Parkinson´s disease by 35 percent. “We have made an important discovery, which takes us a step further towards solving the Parkinson´s riddle,” says researcher Charalampos Tzoulis. He has led the study together with researcher Kristoffer Haugarvoll at the same department. Tzoulis says that the researchers have to do follow-up studies on the diabetes medicine to fully understand why it protects against Parkinson´s disease. “If we understand the mechanisms behind the protection, then we have a chance to develop a new treatment,” Tzoulis says. The researchers believe that the diabetes medicines, containing so-called glitazones, are influencing the cells to produce more mitochondria. Mitochondria are the powerhouse of the cells, transforming nutrients that the cells need to work. 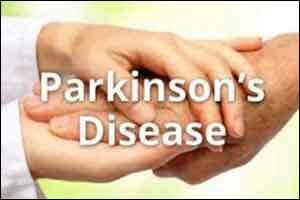 Tzoulis´research group has previously shown that the production of mitochondria decreases during Parkinson´s.